Fans of horse racing in the UK are familiar with Cheltenham Racecourse in Cheltenham, Gloucestershire as it is well known throughout the industry for its many high-profile events, stakes races and some of the most competitive horse racing around. Cheltenham Racecourse is also famous for its annual Cheltenham Festival which is the highlight of the UK’s Jump Season. If you are a fan of horse racing, especially jump racing, you have to attend the Cheltenham Festival this March! The Cheltenham Festival is everything that is great about Jump racing. From the sport’s finest horses and best jockeys, to high profile owners and trainers, the Festival is a four-day party celebrating everything that is Jump racing and it helps to solidify the future of this great sport. With £4.5 million of prize money and over 260,000 in attendance, the four-dayCheltenham Festival is one of 2018’s biggest events and one that every Jump racing fan will either be watching in person, or from their favourite local spot. Even with its popularity in the sport, many people have asked “What is the Cheltenham Festival?” To give them an in-depth look at what this important event is and what it means to the sport, we would have to say that the Cheltenham Festival is a meeting in the National Hunt racing calendar and has race prize money second only to the Grand National. It features many of the best British- and Irish-trained horses and takes place annually in March at Cheltenham Racecourse in Cheltenham, Gloucestershire. The festival just happens to coordinate with Saint Patrick’s Day, making it particularly popular with Irish visitors. The Cheltenham Festival features several Grade I races including the Cheltenham Gold Cup, Champion Hurdle, Queen Mother Champion Chase and World Hurdle. A large amount of money is gambled during Cheltenham Festival week, with hundreds of millions of pounds being bet throughout the week. Cheltenham is often noted for its atmosphere, most notably the “Cheltenham roar”, which refers to the enormous amount of noise that the crowd generates as the starter raises the tape for the first race of the festival. Find out more offers of our listed offers here. 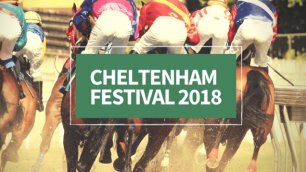 This year’s festival features four full days of events including the Champion Day which includes the most important hurdle race of the season, the Unibet Champion Hurdle. Champion’s Day also features the ever-competitive OLBG Mares’ Hurdle Race and The Sky Bet Supreme Novices’ Hurdle. Day Two of the Cheltenham Festival is Ladies Day, which is all about grace and glamour and the exclusive Ladies Day Competition – known as #ColourMeMarch. From hats to shoes, to scarves and gloves, it’s all about adding a splash of colour for Ladies Day. Day Three is Saint Patrick’s Thursday featuring a typically Irish affair with plenty of Guinness available in the Guinness Village and Irish music around the course throughout the day. The JLT Novices’ Chase kicking the day off, as well as The Sun Bets Stayers’ Hurdle and The Ryanair Steeple Chase. Finally, Day Four of the Cheltenham Festival is Gold Cup Day and it features the Timico Cheltenham Gold Cup, a race associated with elite of the sport.